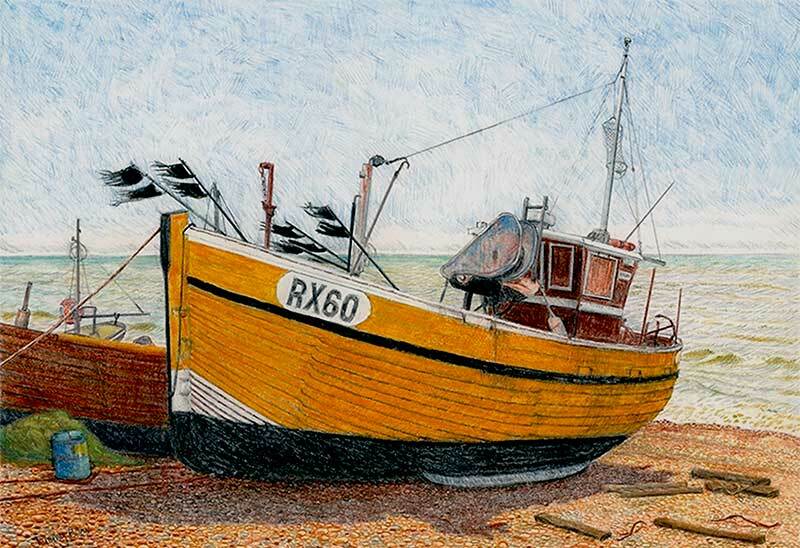 Part of my continuing passion for the sea and working boats has been a long term project to observe and portray the wooden fishing boats that are launched from the shingle beach in Hastings, East Sussex. 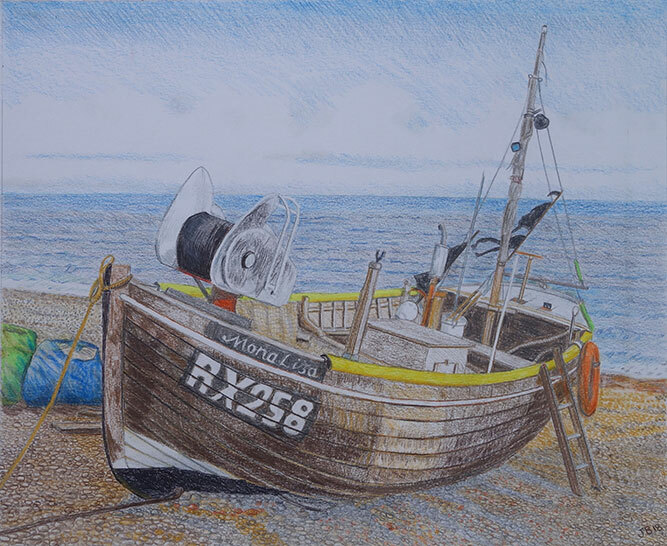 This now forms a series of more than twelve drawings and most are also produced as high quality, limited edition prints. 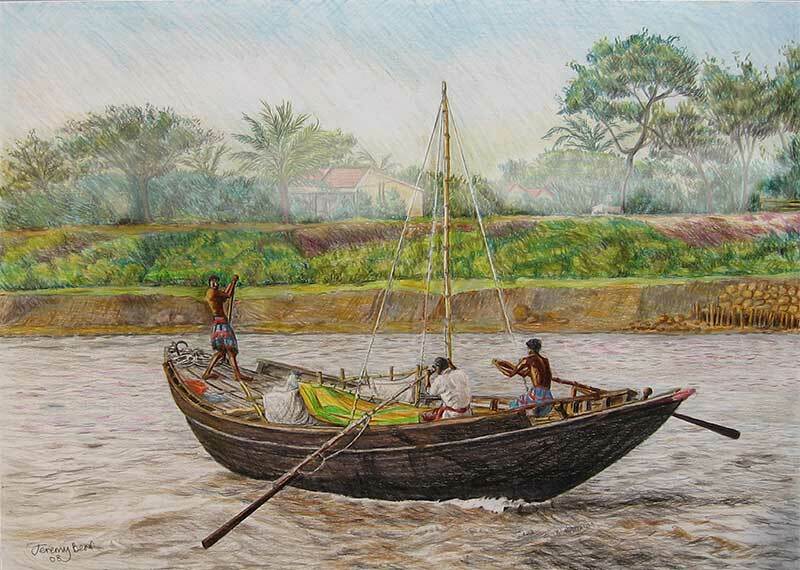 Other subjects here include a life boat at Walton on the Naze, Essex; a modern fishing boat in a small harbour in north Cornwall; and a boat for collecting river clay being rowed on the Hooghly River near Kolkata, India. 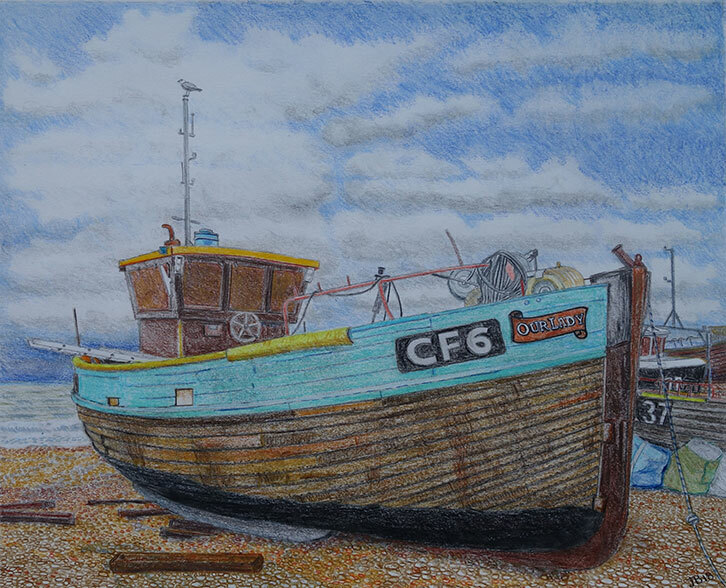 I work with coloured pencils on acid free board or paper. 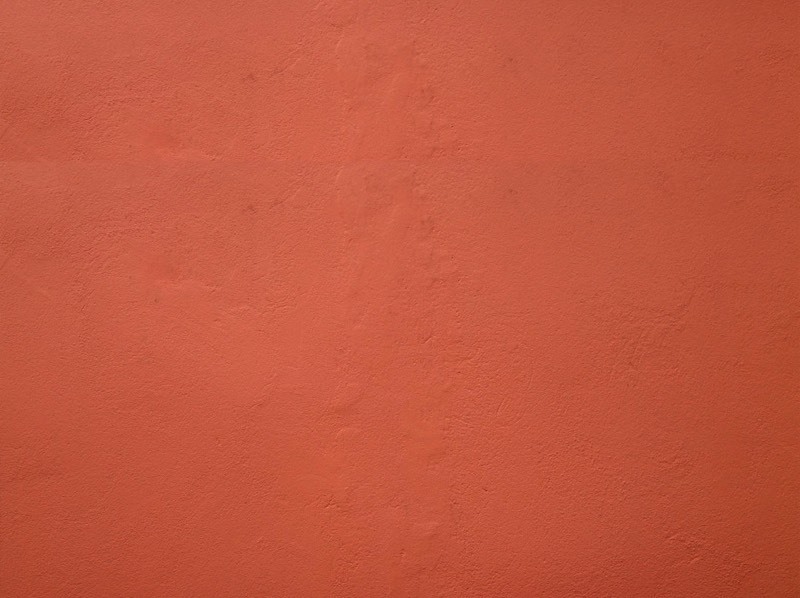 Click the images for more details on each of the works. 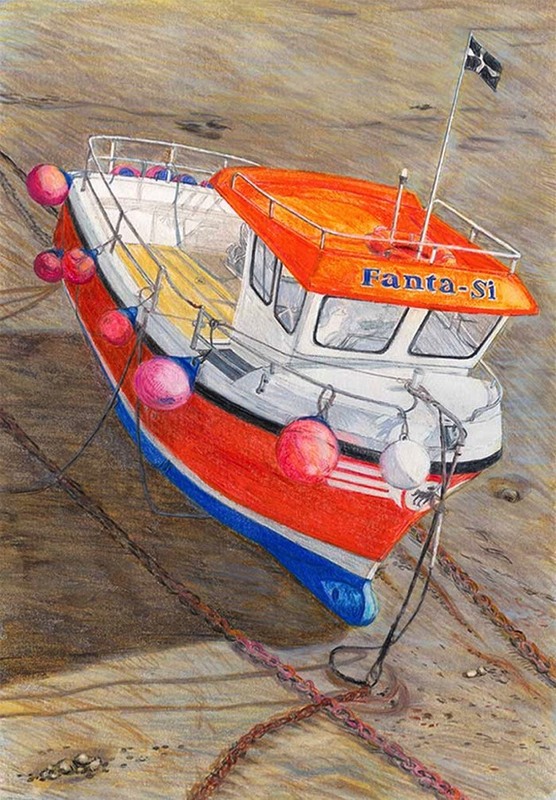 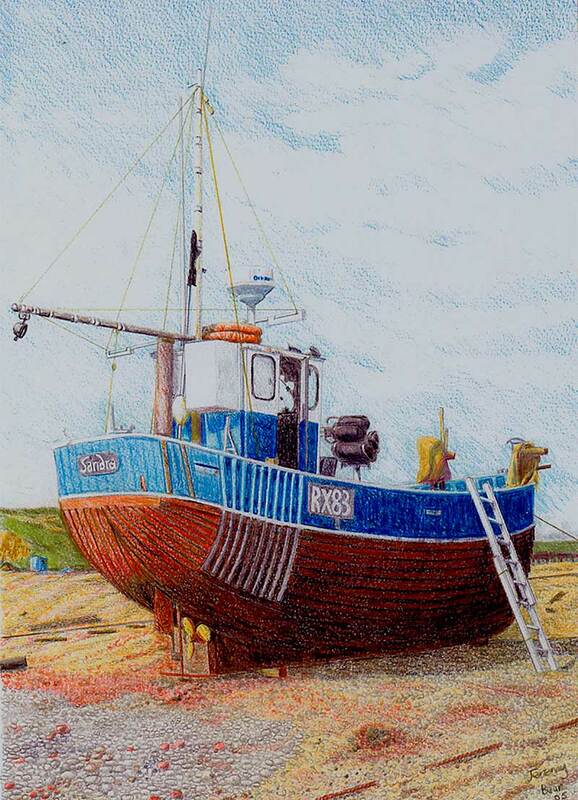 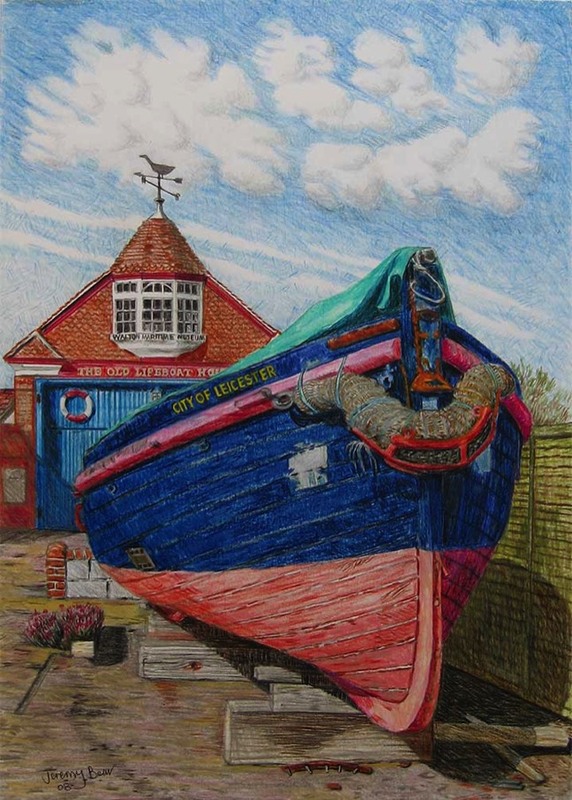 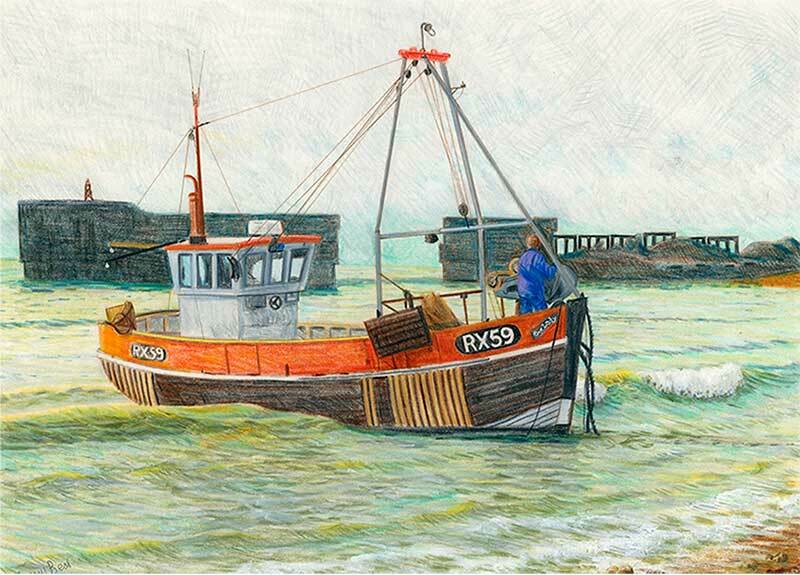 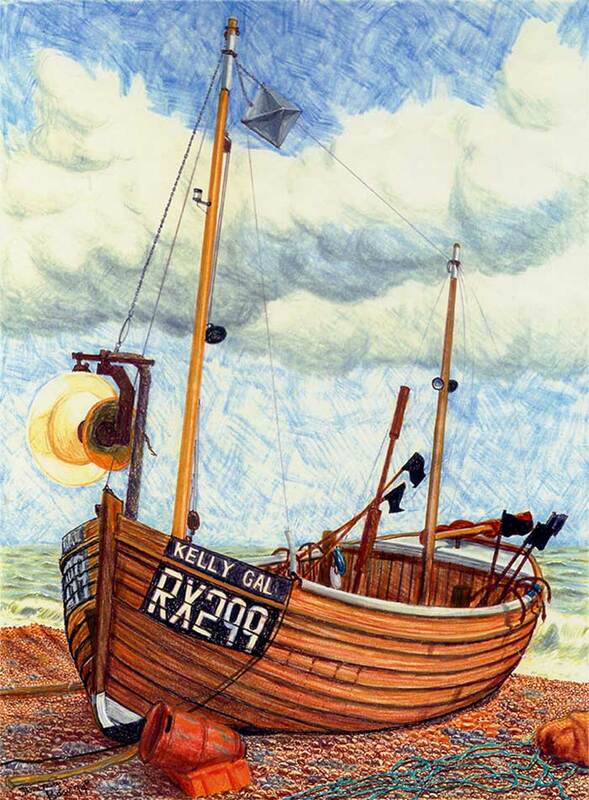 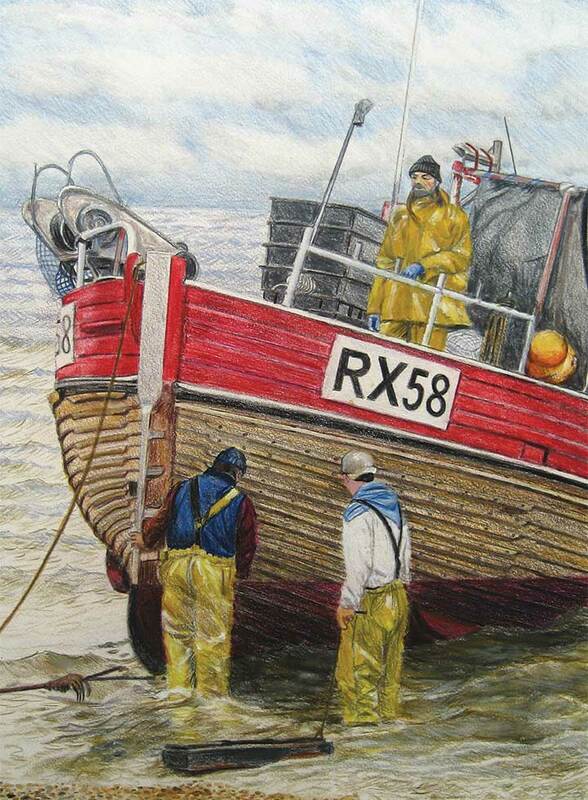 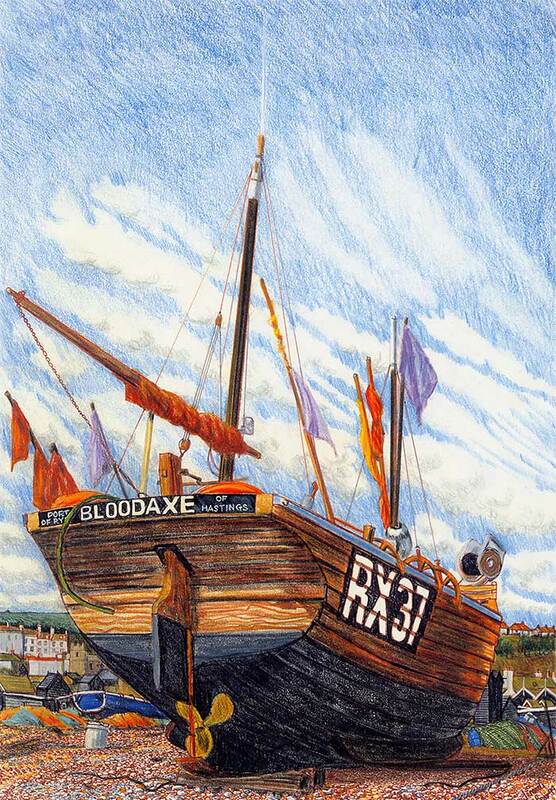 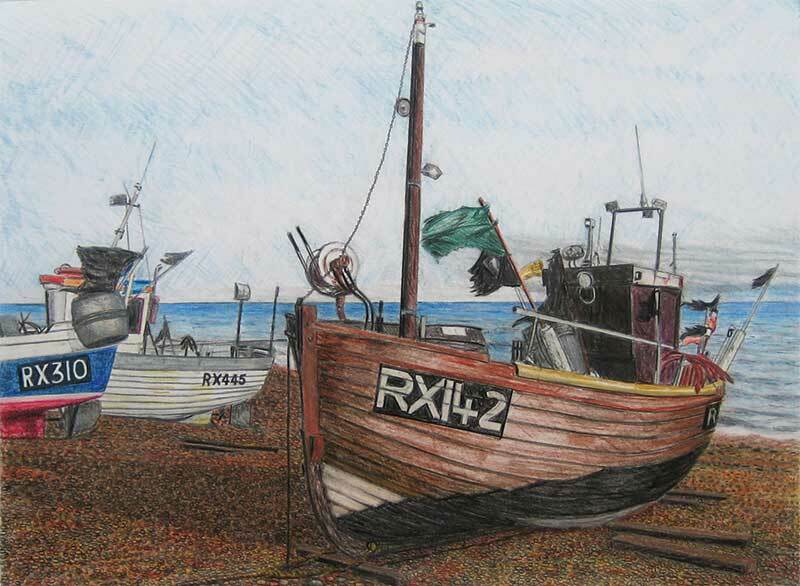 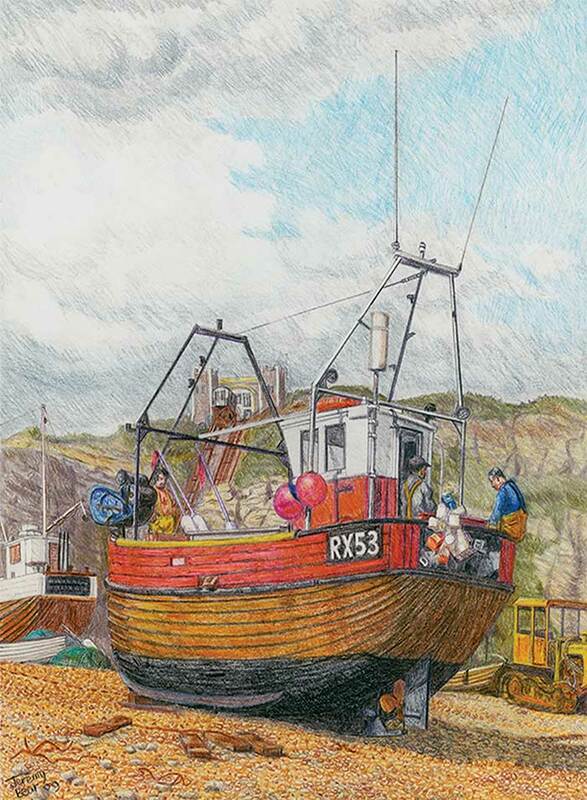 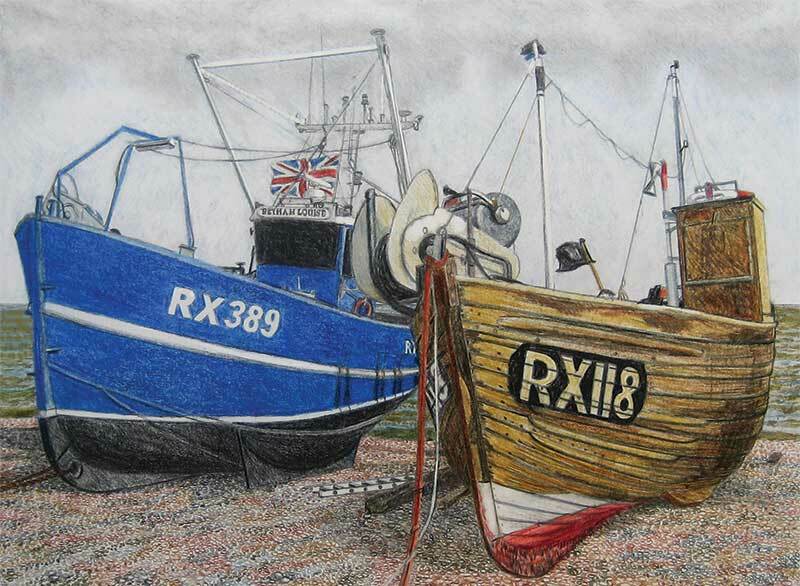 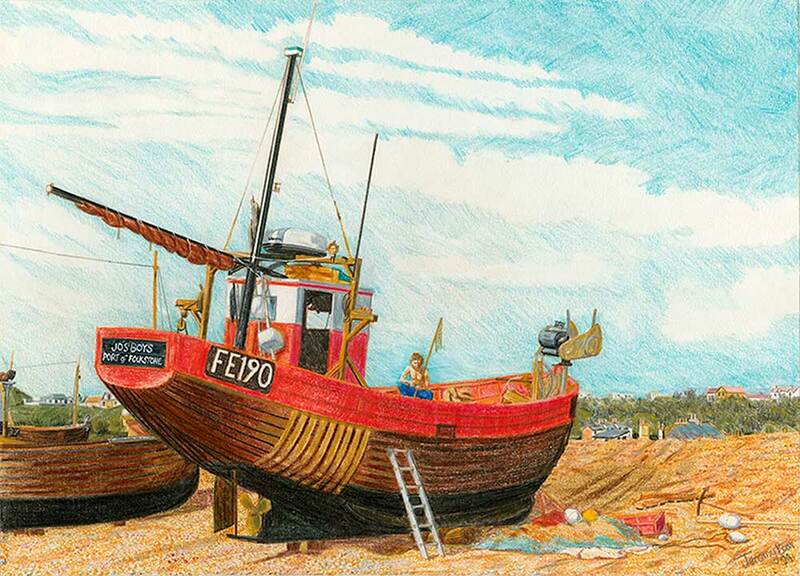 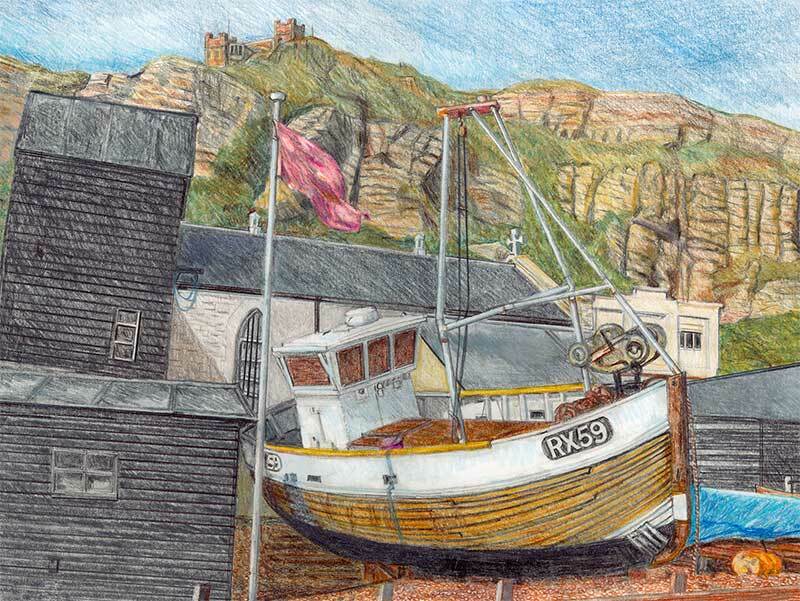 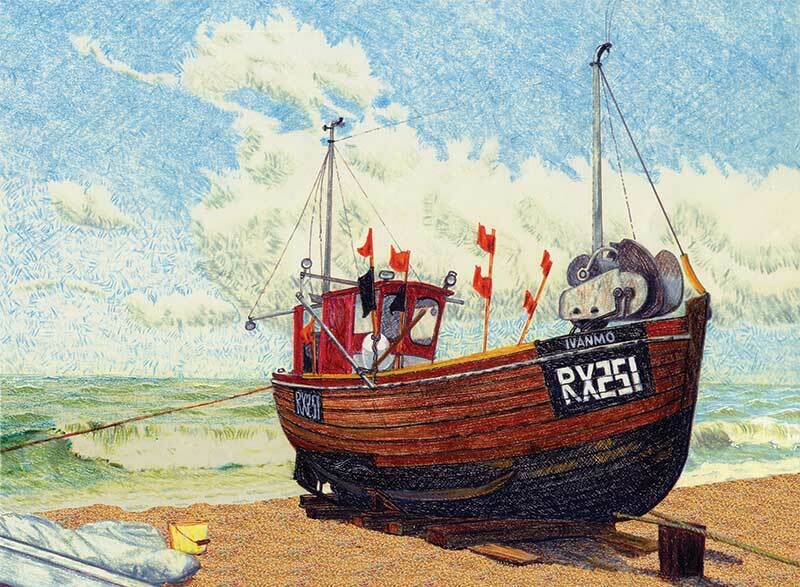 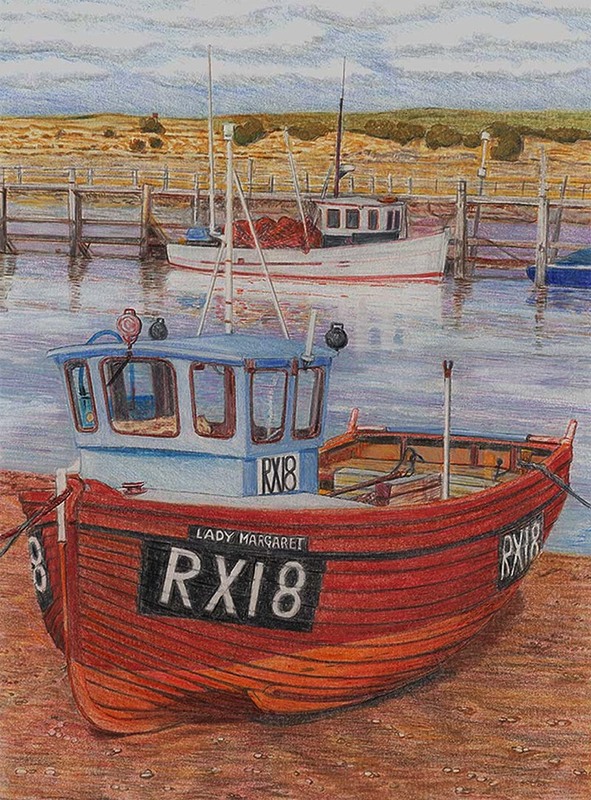 Hastings Fishing Boat Ivanmo RX 251 colour pencil on board (in private collection, cards available).